Posted on January 31, 2019 January 31, 2019 by Rob Adams, Psy.D. As we approach Valentine’s Day, I want to encourage intentionality with respect to how we teach and model masculinity to the younger generation of men. Masculinity continues to be associated with traits like toughness, independence, stoicism, and control. Unfortunately, these traits are also defined in a way that leads to disconnection from others, coercive power, and even anger. Boys see toughness as denying emotions, rather than feeling and expressing them, and using the resulting vulnerability to strengthen themselves and others. Previous studies have looked at the self-silencing that takes place for boys and girls. As girls enter puberty they begin to question whether they can have a strong assertive voice and if it is acceptable to their peer group. Our culture has often supported the dampening of their voice and led them to focus more on how a boy would like them to act. This self-silencing also occurs for boys, except it happens at a much younger age. Boys as young as 5 years old begin to recognize the message that certain emotions, types of emotion expression, or forms of relational connection are not the way to “be a man.” But, this doesn’t have to be the message they receive. Instead, we can help boys develop their emotional intelligence by connecting their actions to their emotions and teaching them ways to describe those emotions to themselves and others. Teach your boys to recognize and label their emotions. This starts early. As you’re reading or watching shows with your young boys, point out the feelings that characters are experiencing. Talk about and label your own feelings. Often, we focus on teaching our preschoolers colors, numbers, and letters. You can take a similar approach with teaching feelings. 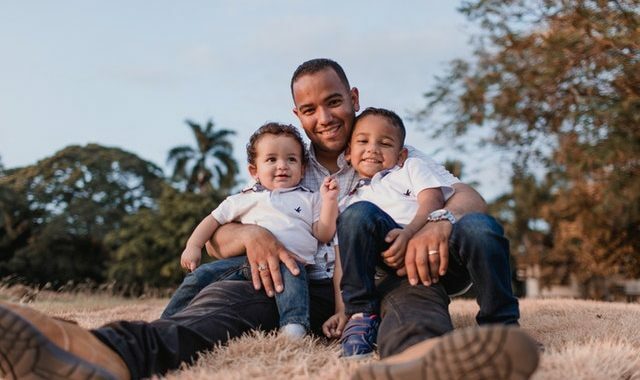 Taking these few steps can make a difference in helping our boys grow up to be emotionally intelligent men who are not afraid to connect with others or be honest with themselves about their feelings.